► ... Blocked People and Apps! 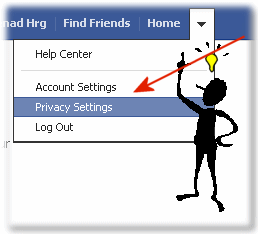 Or on the side of Facebook.com "Home/Privacy Settings"
Here you simply click on the "Manage Blocking"
Internet-WWW - FAQ-2: How to manage blocked people and apps on Facebook.com? Registration and Login at Twitter.com works quite simply and is for for every-man / woman accessible. Content: 1. Sign Up, Register on Twitter.com 2. 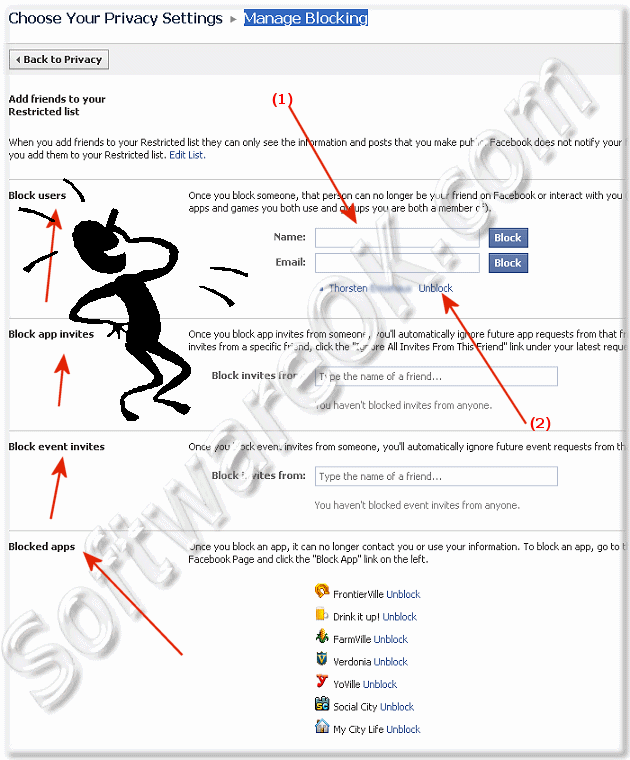 How to block on FaceBook.com someone that person can no longer be your friend on Facebook or interact with you . How to block app invites from someone on FaceBook.com. How to manage blocked people on facebook? How to viwe the facebook blocked people? How to manage what people see on facebook?